Here's what desperate Republicans care about: emails and Benghazi. Here's what the media cares about: Anything that portrays Hillary in a negative light. And the man with straw hair. The attention his every comment brings is absurd. Hillary Clinton today announced a plan to revamp criminal justice policy and end the focus on mass incarceration ad draconian sentences, policies favored during the Bill Clinton administration. Clinton unveiled a sweeping set of proposed criminal justice reforms that would dismantle much of what her husband did. .. Whereas Bill looked to lock up offenders and throw away the key, Hillary is seeking to “end mass incarceration.” His focus was on resources for law enforcement; hers is on transparency meant to protect suspects. Bill promoted zero tolerance, while Hillary is inclined to lend a second chance. 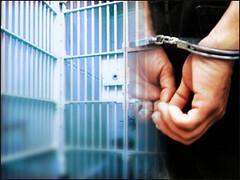 “Keeping them behind bars does little to reduce crime, but it does a lot to tear apart families,” she said of children guilty of nonviolent offenses. The former First Lady, New York Senator and Secretary of State Hillary Clinton will announce her bid for the presidency this Sunday via a video according to published reports. The published reports indicate Clinton will immediately begin campaigning in Iowa and New Hampshire, but with a bent towards smaller events. Other potential candidates on the Democratic side include Jim Webb, Martin O'Malley and just recently, Linc Chafee. The ride officially begins Sunday it seems. Looks like Hillary Clinton will be running for President. 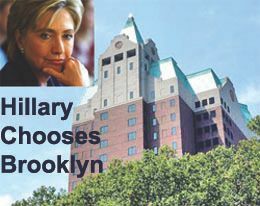 According to the New York Times, she has leased two floors of office space for her campaign headquarters in Brooklyn. Hillary Rodham Clinton has leased two floors of office space at 1 Pierrepont Plaza in Brooklyn for her presidential campaign headquarters, according to a person familiar with the deal. She is expected to announce her decision to run within days. Here's a detailed list of her f her 2008 campaign headquarters and staff. The House has subpoenaed Hillary Clinton's emails. Talk is already underway about the impact of the 2014 elections on 2016. Andrew Romano says Hillary Clinton is the real winner of yesterday's election. Take a closer look at demography, geography and the road ahead for the parties, and it’s clear that the long-term winner of the 2014 midterms wasn’t the GOP at all. The long-term winner, in fact, wasn’t even on the ballot this year. Her name is Hillary Clinton. Romano proceeds to crunch the numbers to support his theory. The Washington Post reports Hillary and Bill Clinton have been cozying up with former San Antonio mayor Julian Castro, giving rise to speculation she might tab him as her running mate. Castro has been a nationally rising star since the 2012 Democratic Convention. (I wrote at the time, "Michelle Obama was good, but hands down, the star of the night was Julian Castro.) In May, Obama nominated him as Secretary of HUD. He will be sworn in on Monday. His twin brother Joaquin is a Texas congressman.